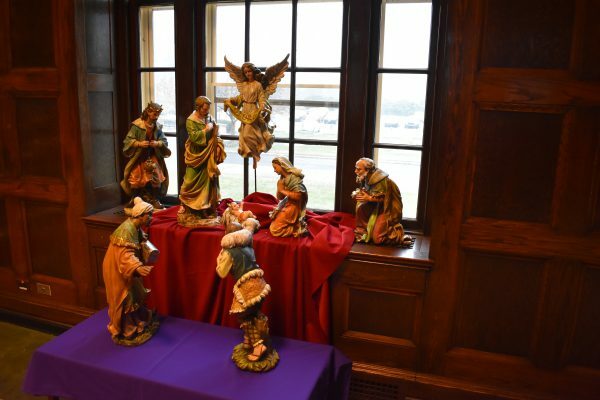 We have safely made it back to St. Mary’s Seminary and have begun classes again. We return to the seminary filled with hope and renewed by the people we encountered in Guatemala. After my last post, we learned about the people of Guatemala, the coffee farming/making process, their reforestation work, and the daily life of Guatemalan men and woman. 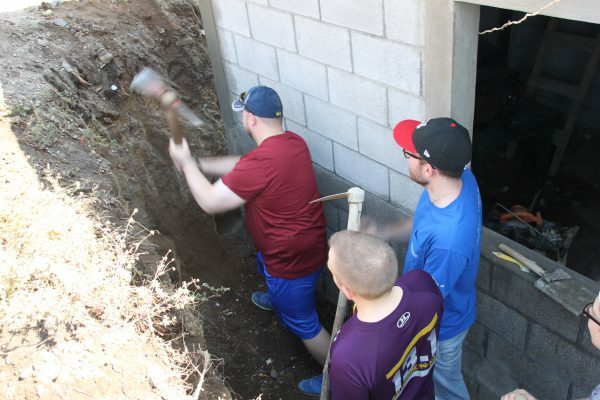 We also worked hard on some “block houses” in a rural area of Guatemala. Some of the group worked on building stoves in the homes of some Guatemalan people in another part of the town. The commitment of the Guatemalan people working with their hands brought this to life. During our work, as we served alongside one another and the Guatemalan people, a deep sense of community, hospitality, and relationship, a deeper sense of life emerged, an encounter with Christ. Through God’s goodness and the work of human hands, our hands and the hands of others, we encountered Christ this past week. Thank you for your prayers and support. We are grateful you have journeyed with us. Today, February 21, is our 4th full day in Guatemala! We cannot believe the time we have spent on our mission. So far, we visited Santiago Atitlan where Blessed Fr. Stanley Rother ministered to the people and died for his people. We celebrated mass in the room where he was martyred and we were able to pray before his heart, buried in the church. We have also had a tour of all of the work of the mission (Health clinic, School, women’s center), sorted coffee beans, worked at construction sites (of peoples’ homes), and went on a beautiful hike. The people are beautiful in Guatemala. We have had many beautiful interactions with the people and have been moved by the simplicity, perseverance, hope, and faith of the people. The work of the mission was established by Fr. Greg Shaffer, a diocesan priest sent on mission. Both he, Fr. John Goggin (who celebrating 50 years at the mission and is currently here with us), and Fr. Stanley Rother serve as incredible examples of the love of Christ and the true expression of priesthood. This afternoon, as I write this, we are preparing to journey to learn about the coffee making process (coffee farming and exportation is a huge source of economy in San Lucas, Toliman), and then we will learn about reforestation efforts. Please pray for us as we continue to be formed by beautiful people, one another, and ultimately Jesus, through our experiences and journey in Guatemala. 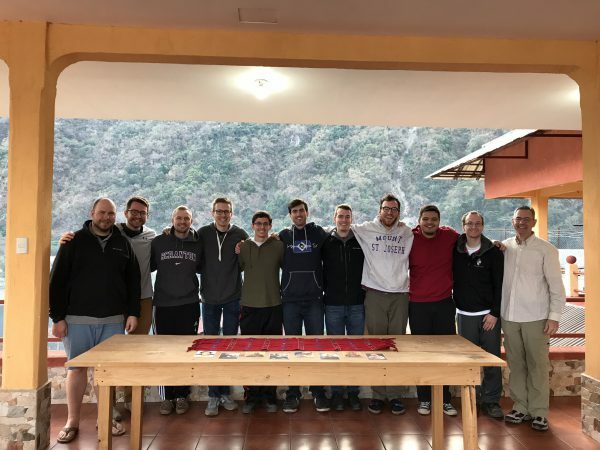 During Winter Break (February 17 – February 24), a group of seminarians and one faculty member will be journeying to San Lucas Toliman, Guatemala for a Mission Trip. We will be serving the community through San Lucas Mission. While there, we will work on various projects such as building stoves, building homes, coffee bean farming, etc. Most importantly we will strive to be present to all those whom we encounter. We also look forward to celebrating mass at and visit the site of martyrdom of newly beatified Blessed Fr. Stanley Rother. “In 1963, Fr. Greg Schaffer from the diocese of New Ulm, MN came to San Lucas Toliman and began work as a parish priest. Responding to the expressed felt needs of the community he realized that his work as a priest would be broader than he had imagined. He soon started programs in education, healthcare, construction, coffee as well as a visitor’s program inviting groups from the United States to walk along side the people and culture of San Lucas. Fr. Greg died in 2012 and the Friends of San Lucas was born to carry on his legacy of working with the people of San Lucas to alleviate the process of poverty.” For more information about San Lucas Mission, please check out their website here: https://www.sanlucasmission.org. I ask that you please consider praying for us this week as we prepare to go on the mission and next week while we are there. Please pray especially that we may meet the needs of the Guatemalan people and that we may be vessels of the love of God, radiating Christ, and truly encountering all who we meet. Please check the website for more updates throughout the week! 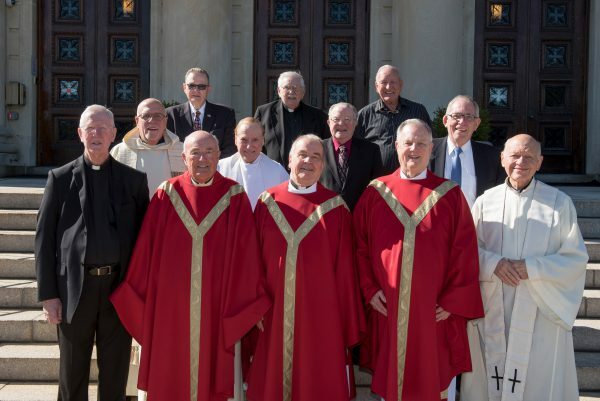 The community of St. Mary’s Seminary & University was represented well at the various activities associated with the Right to Life on the anniversary of the Roe v. Wade Supreme Court decision, January 22, 1973. The seminarians and faculty departed early in the morning on Friday, January 19th to join a huge crowd for the annual March for Life in Washington D.C.
Dr. Freeman A. Hrabowski, our 2018 Carroll Lecture lecturer, was the front page feature in the Baltimore Sun’s Monday edition. 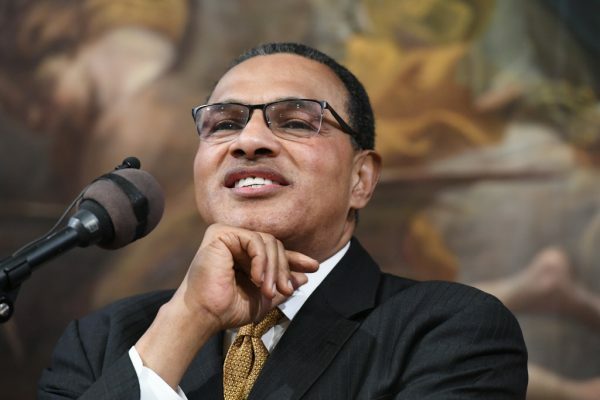 The story, “‘A powerful and frightening experience:’ UMBC’s Hrabowski recalls King’s call for the Children’s Crusade of 1963,” was timed for the official Martin Luther King Jr. holiday. Dr. Hrabowski’s Carroll Lecture at St. Mary’s on April 12, 7:30 pm will mark the 50th anniversary of the assassination of Dr. King. President Hrabowski is uniquely positioned to reflect on where we are 50 years later–both in Baltimore and in our nation. The Seminary’s 2018 Carroll Lecture is an ecumenical endeavor, jointly sponsored by the Seminary, the Ecumenical Institute, and the Central Maryland Ecumenical Council . 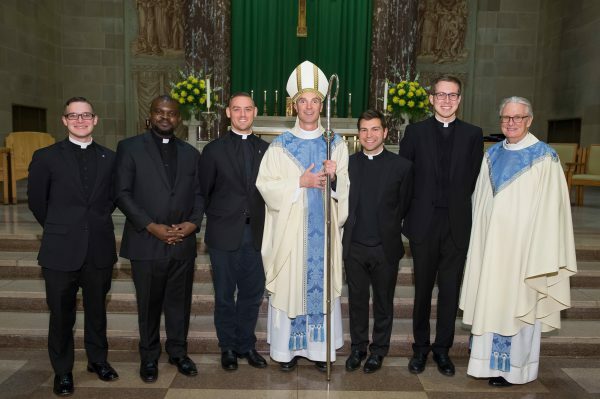 On Thursday, November 16, 2017, five seminarians – Matthew Joseph DeFusco and Matthew Thomas Himes from the Archdiocese of Baltimore; Magnus Tochi Iwuji and Daniel Ryan Molochko of the Diocese of Richmond; and Joseph Stephen Illes of the Diocese of Metuchen were admitted into Candidacy by the Most Reverend Adam J. Parker, Auxiliary Bishop of the Archdiocese of Baltimore. 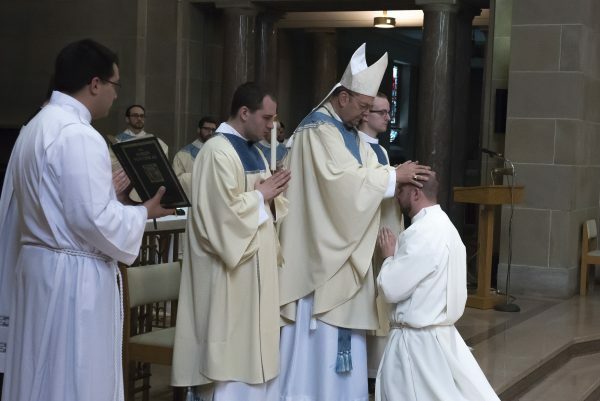 Candidacy is a liturgical rite of admission requested by a seminarian of his own Ordinary, which formally acknowledges and enrolls him as a candidate for Sacred Orders. Congratulations! 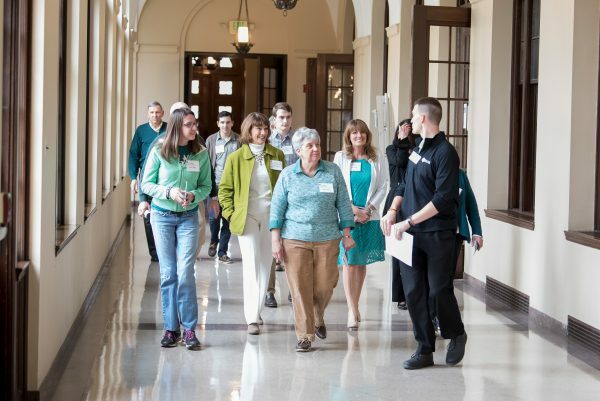 Mark your calendars for Alumni Days 2018 – October 17th and 18th, 2018.